One of England's most famous racecourses and home to the annual Royal Ascot meeting, Ascot Racecourse is a true gem in Berkshire and features some brilliant National Hunt and Flat racing ever year inside it's busy calendar of horse racing. Events such as Royal Ascot's 'Gold Cup' bring in huge revenue and interest from punters and TV broadcasts and the 5 day festival has put Ascot racecourse on the map as one of Europe's premier racecourses. Click here to load the latest Ascot Racecourse live streaming! Our Ascot fan site provides bettors and casual race fans with the most in-depth info on Ascot and it's racing events. Below, we have the latest live streaming, a list of top UK sites where fans across the world can stream races live. We've tested loads of sites and these are without a doubt, the standout providers to watch races at Ascot live online. Including Royal Ascot and all major events, you'll be able to stream all the action through a pc, iPad, iPhone or any other mobile or tablet with fantastic quality video and live commentary. * 18+ Only, T&C Applies. Geographic Restrictions apply. 50p win or 25p each-way bet on race required to watch. BeGambleAware.org. Watch EVERY race in the UK and Ireland, live at bet365. You need not miss a second of the action - and there's not a subscription fee in sight! Simply place a bet of at least £0.50 win or £0.25 each-way (or currency equivalent) on your selection(s) and enjoy the race, courtesy of bet365! And that’s not all! bet365 have now launched an At The Races archive service, which means that you can now watch a video replay of any ATR race. Click here to watch the next Ascot race live at bet365 (t&c applies)! Royal Ascot itself started in 1711 and as you might have guessed by the name, it's regularly attended by the British Monarchy such as Queen Elizabeth II and Prince Charles. Last year's attendance topped 300,000 and a likely turnout is expected for the next event. Ascot's most famous race is the Gold Cup, held on Ladies' Day (generally on Thursday) and a top prize event with some of Europe's best horses and jockeys. Other famous races such as the Coronation Stakes, Queen Anne Stakes and King's Stand Stakes take place at Ascot Racecourse. It's not just Royal Ascot that makes this racecourse stand out as many major flat and National Hunt horse races take place here including Long Walk Hurdle, Ascot Chase, Sagaro Stakes, Princess Margaret Stakes, Shergar Cup and Cornwallis Stakes. 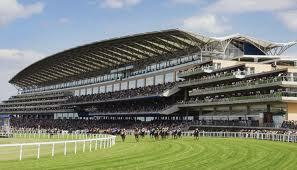 Find out how to get to Ascot racecourse in our 'about' section here. If you have any questions, send them in here. Scroll back up the page to find the very latest live Ascot streaming with video and commentary to watch all of this week's races on your computer, smartphone or tablet. Watch every Ascot race live! Watch UK and Irish races every day. ITV4, RUK and ATR are the mainstay of racing coverage in the United Kingdom and the 3 channels provide both TV and online broadcasts for all the action every week. Unofficial fan page for Ascot information, not associated directly with the racecourse.